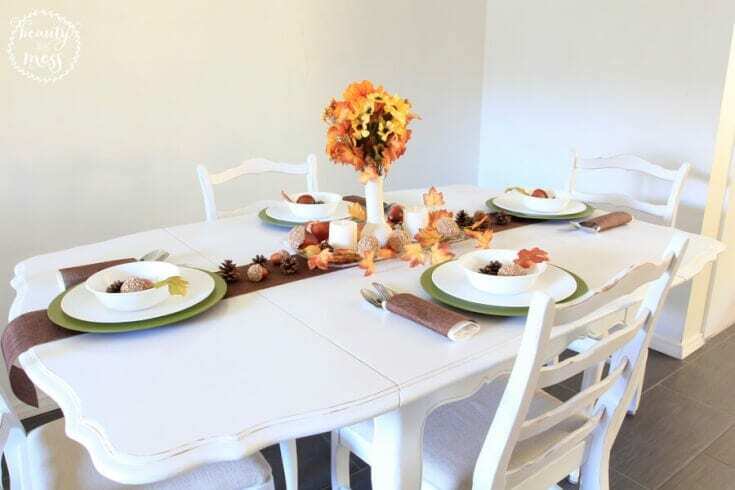 This year, Fall and Thanksgiving season feel a little bit more special to me- mostly due to the fact that we are finally settled into our new home, but also because we just finished giving our dining set a complete makeover. It’s not perfect, but it’s still a million times better than what it used to be. 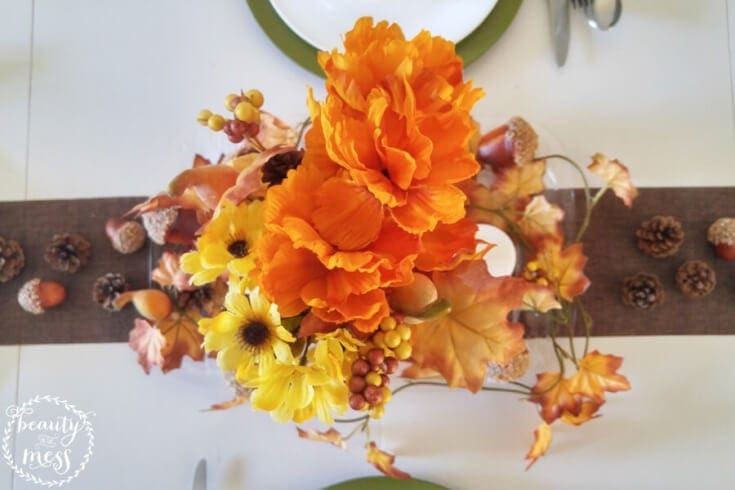 And that’s why, when I was brainstorming potential Thanksgiving-themed projects, I couldn’t get the idea of creating a rustic Thanksgiving tablescape out of my mind. My “new” white table was just begging me to dress it up and make it look pretty. But because my current DIY to-do list is a few miles long, I didn’t want to spend too much just on this one project. 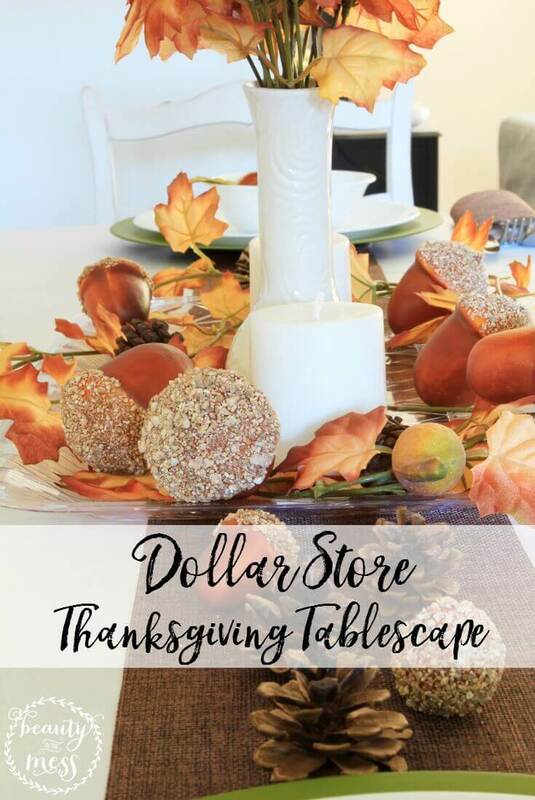 So I went ahead and challenged myself to create an eye-catching Thanksgiving tablescape, sourced only from the dollar store. Here are four steps on what you should look for at the dollar store if you want to re-create this look in your home. Most tablecloths available at the dollar store are plastic- and are not very attractive. So instead, use a roll of burlap to make a simple table runner. I love charger plates, although I’m admittedly a recent convert. 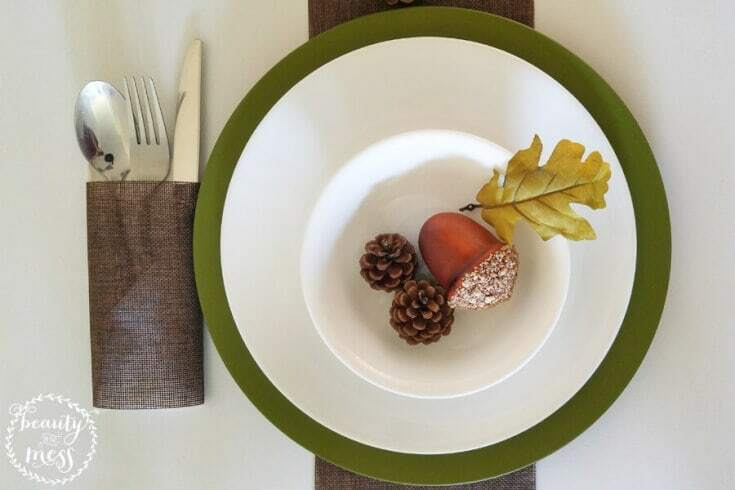 They add tons of texture and a pop of color to your table setting. I was excited to find these green ones at the dollar store, because they typically run for about $2.50 each. What a steal! 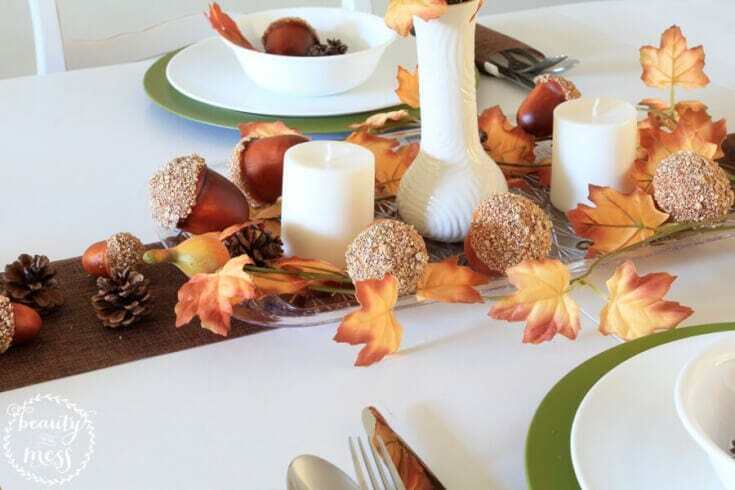 The first thing you should do is decide what your centerpiece’s focal point will be. I settled on a cream vase with faux flowers. Next, find some things to compliment your focal point. 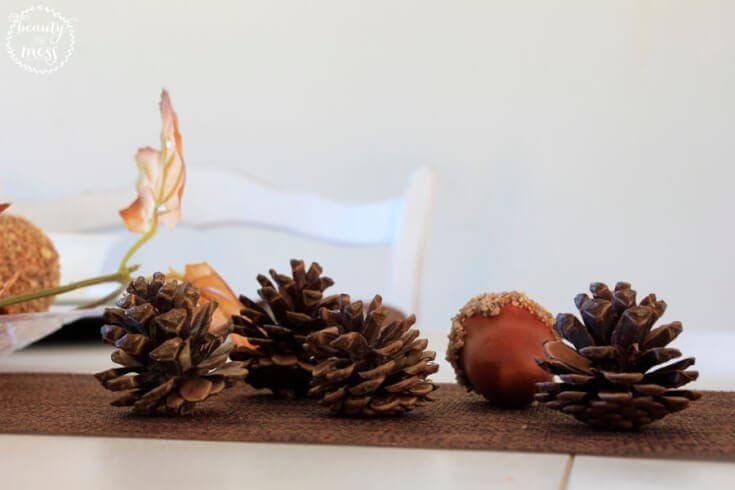 I chose a faux leaf garland, a pair of white pillar candles, and a few bags of faux acorns and pinecones. The final item you’ll need is a flat tray, which will bring some definition to your centerpiece. I used a clear serving tray, but you could even opt for a picture frame with some burlap or pretty paper as the insert! Get creative with this step, and have fun! All in all, I ended up going to three of my local dollar stores and I only spent a total of $18. I hope this inspired you to create something you’re excited about this Thanksgiving. And remember that in the end, it doesn’t matter what’s on your table, it only matters who’s around it. WHERE IS YOUR FAVORITE LOCAL PLACE TO SEARCH FOR BARGAINS?